Promotion! Services for Your New Life. Now offering the special price!!! Just renovated and bright room. 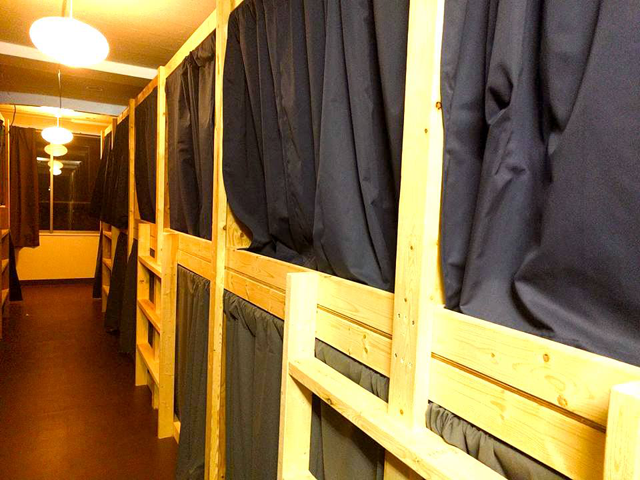 Wooden boards separate each bed to keep privacy. There is spacious common area. Ideal for both group and solo users. Dormitory only. 33,000 yen / month for a smaller bed, 36,000 yen / month for a bigger bed. 5,000 yen from the deposit will be refunded when you move out.